examination materials to be stored in locked Regents boxes. In turn, locked Regent boxes must be stored in a NYSED-approved safe or walk-in vault that meets all of the listed specifications below. 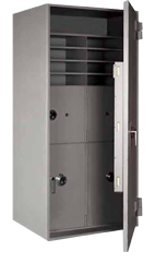 Newly constructed vaults, modified existing vaults, or recently purchased safes must be inspected by a NYSED representative and approved by the department before secure materials can be stored. T K.L. 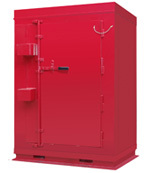 Security we offer a full range of TRTL-30 rated safes for NYSED Regents Exam storage and can customize the interiors to meet your exact needs and requiremetns.